Join us for an unforgettable New Year's Eve Celebration at Horseshoe Bay Resort. 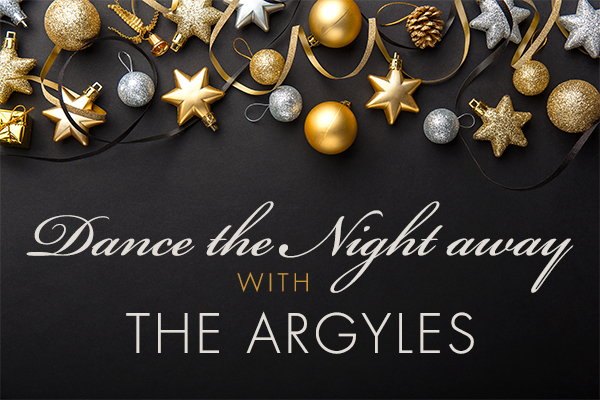 At 9:30 pm, the ballroom will open and The Argyles will keep the dance floor packed all night with an incredible live music performance to ring in 2019. Enjoy festive party favors and a complimentary champagne toast at midnight! In addition, Horseshoe Bay Resort features fine-dining options and several full-service bars on property to enhance your NYE experience and set the tone for a truly remarkable night. *NYE Countdown with party favors and complimentary champagne toast at midnight.